Contractor or Construction Trailers are ideal for the Landscapers and Contractors needing an enclosed utility trailer for everyday use. 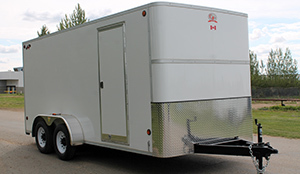 CJay Contractor Trailer Series provides you with a safe and secure area for tools and storage. Don’t be at a job site without everything you need when a CJay trailer can carry it all. 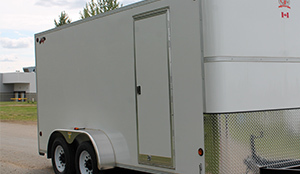 Our Construction Trailers are durable and available in several sizes with custom configurations to ensure that your exact needs can be met. 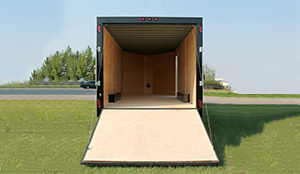 Get a construction trailer that can handle the wear and tear of your job site. CJay enclosed utility trailers are built to last, we’re serious. That’s why all of our trailers include a 5 year structural main frame warranty, that’s 5x as long as most trailer manufacturers. 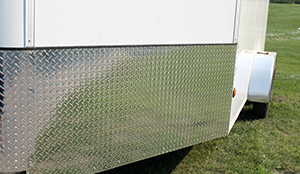 We choose our materials carefully so that you’ll get everything out of your trailer that we put in. 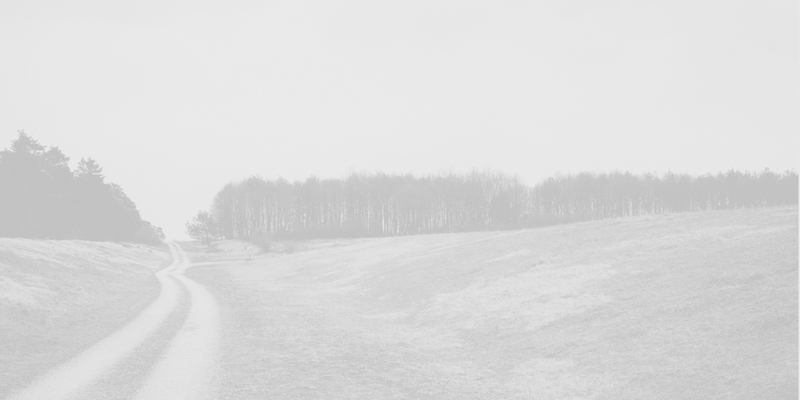 Every trailer we manufacture goes through a process that speaks to its longevity. The underside gets covered with an automotive style, rubberized undercoating so when you take your construction trailer to the ugliest job sites, you’re ready for it. All junction boxes and lights are sealed to provide weather resistance and protection for years to come. 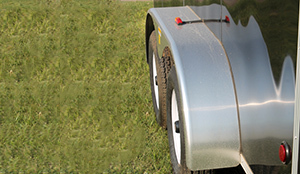 Even the tires are carefully chosen to match the carrying and axle capacity of our enclosed utility trailers. 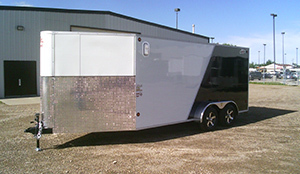 See the CJay difference for more information on our trailer manufacturing process. 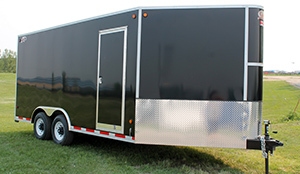 Customize your construction trailer the way you want it. 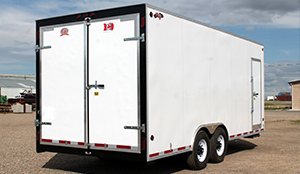 Our contractor trailers have customizable options including side walk-in doors to make going in and out easier with a full load, rear ramp doors for those big heavy machines, V-nose or flat fronts, aluminum rock guards, and more. Or if you’re looking for the best of both worlds, check out our combination trailer series that has both an enclosure and a flat deck so you can haul anything you need.